Animal welfare – Who cares? As a citizen of this country I am often confused over the many contradictions that exist here. We make some interesting claims about how sophisticated we are financially and how much wealth we have. We brag about our BlackBerry penetration being one of the best in the world and yet socially we lag behind on so many important issues. One issue that has recently come to my attention is how we treat our animals. We brag about all of these things, yet Cayman does not have a single dog park! I was the proud owner of two lovely dogs for most of my adult life – Oscar and Rupert. Admittedly they were like children to me and when I moved to Cayman I could not imagine leaving them in the States. Arrangements were made for them to come and for the 13 years that they were alive they wanted for nothing. Ironically, neither was a pedigree but both had been rescued from uncertain futures, including the pound. I also had the privilege of growing up with Prince – my aunt’s mixed breed dog who, I recall, was fiercely protective and a lot of responsibility. As a child I was responsible for making sure that he was walked twice per day and fed. As it turned out he was a wonderful childhood companion. Perhaps this is why my love and understanding of animals is deep-seated and ingrained from a young age. As the saying goes, the best lessons are learnt early on. I’ve always been appalled at stories of animal abuse and animal neglect and how seemingly accepted these acts are in our so-called sophisticated and Christian community. When reading stories of animals being tortured, iguanas being brutally executed and knowing that many in our community could care less, I realize that we have some serious questions to ask ourselves. Our lack of a social conscience when it comes to the animals that we share this planet with is nothing short of horrific. I often wonder if people know that individuals who have psychotic tendencies often start with the abuse of animals and then move onto humans from there. Until recently most people did not even know about the existence of the Animal Law. Albeit archaic, it’s a start towards legislating against animal cruelty. In 46 of the 50 states animal cruelty is a felony with serious consequences. When was the last time you can recall anyone being successfully prosecuted here for animal abuse or neglect? My own recent experiences have taught me that neither pet owners, the police or even the judiciary are aware of the law and its contents. Owners do not know that they are supposed to register their animals with the Department of Agriculture or that the law conveys other responsibilities on them. Our commitment to revising the laws on animal cruelty appears to be non-existent. We have the very bare minimum resources dedicated to this with only 1 animal welfare officer in the Cayman Islands. The Humane Society is strapped for resources and volunteers often see the worse cases of abuse. Our stray population of cats and dogs is out of control and most people hold onto the perverse attitude that there is something innately wrong with spading/neutering their pets. I am no expert on this topic but recently my heart has been drawn to the issue on a personal level. I can’t fathom how people would chose to spend money on a purebred just to have bragging rights of ownership and not fully understand this is a life-long commitment that you have undertaken. I have always said that in some respects dog ownership is a more serious commitment than having children. At some point children grow up and most are able to help themselves. Dogs will always require someone to feed them, walk them and seek medical attention for them as well. Dogs are complex creatures that not only require physical exercise but also mental stimulation. Some breeds are very smart and would have been bred for hundreds of years for a particular task. I am often amazed at how little a person bothers to educate themselves about the breed of dog that they own and what specific needs they may have that are unique to their breed. I have witnessed dogs running in circles as though they are stir-crazy because they are locked up on back porches with automatic feeds and newspaper to use the bathroom. The lack of understanding that it is NOT natural for a dog to eat, sleep, play and defecate in the same area is astounding. How would you feel if you were incarcerated in these conditions with little human contact? Allowing a dog to get basic exercise to me seems like a no-brainer and yet we have many people in our community who tie dogs up and think they are wonderful pet owners and have fulfilled their obligations. Being a responsible pet owner is much more than just providing adequate water, food and shelter for your pet. Domestic pets are completely dependent on their owners for their welfare. Many people do not realize that dogs are pack animals just like we are and thrive on operating as part of a family and hierarchy. In fact, we can learn a lot about leadership and the natural rules of discipline from dogs. Just like us they require companionship and proper socialization. Recently I was touched by a story of an elderly man with dementia who had gotten lost. When they found him, sadly he had passed away, but his dog had stayed with him for 7 days until he was found. They are indeed man’s best friends and their loyalty has often led to these heroic tales. Yet, we (the supposed smartest of all animals) often fail them. If you have a dog that you cannot take care of know that someone out there will give that dog the love and time commitment that it needs. Do not keep a dog just for the sake of saying that you have one. Put yourself in that dog’s position for a moment – is that how you would like to be treated? If not, find them a good home. • Owning a pet is a lifetime commitment. If you can’t make the commitment, don’t get the pet. Dogs can live for 15 years depending on the breed. Educate yourself about dogs in general and how you can be the most responsible pet owner. It is never a good idea to get a pet based on a small child wanting one. Ultimately the responsibility of caring for that animal will fall on the parent. • Choose a pet that fits your lifestyle. Don’t get a high energetic dog, if you don’t have the time to exercise him. Know that even small dogs require walking. If you can’t afford grooming or can’t do the grooming yourself, pick a low maintenance dog. If you travel a lot consider how that will impact your pet as well. • Spay or neuter your pets. There are too many homeless animals without adding to the problem. You will add years to their life and lessen behavioral problems if you take the time to spay or neuter your pet. • Don’t make your dog a "backyard dog". Dogs strive on companionship and need to be with their human pack. They will protect and love interacting with others if they have been properly socialized. • Be aware of weather conditions. Leaving your dog in the car on a hot day or in the yard without shade or water is risking your dog’s life. Imagine how hot even back porches can be in Cayman’s heat. • Make sure your home is "pet" safe. Pesticides, medications, household cleaners and some houseplants (dieffenbachia, philodendron, hyacinth, and mistletoe) can be deadly to your pet. Keep themout of reach. Puppies are especially vulnerable as they enjoy exploring and putting thing in their mouths. If you have children also monitor your children around your pets. They can unintentionally harm your pet or get bitten by a pet who misunderstands their intentions. • Provide veterinary care for your pet. Keep their vaccinations up to date and make sure they have annual checkups. What you may consider a minor thing like eye infections can cause blindness if left untreated. • Keep identification tag on your pet … it is your pet’s ticket back home. Both dogs and cats need ID!! Microchipping is good too, but an external tag is essential; it could mean the difference of your neighbor returning your pet to you or turning him into the pound. The Department of Agriculture requires you to register your pet with them. Take the 5 minutes out of your business schedules to do this. • Don’t let your pets run loose. Dogs should be walked with leashes. Any outdoor off leash access should be secure in a fenced area. An outdoor cat’s average lifespan is 3 years; an indoor cat’s average lifespan is 14 years. • Provide your pet the proper diet. Speak to your vet about their dietary needs. Not all pet foods are created equal. Obesity can be as deadly as malnutrition. Be aware that some foods can be deadly, such as chocolate, and fatty foods can cause pancreatitis. • Make sure your pet gets the proper amount of exercise. I have personally found this is a wonderful time for you to also get exercise also and to bond with your dog. Dogs love to explore and see new things and a walk around the neighborhood would offer them this opportunity. • Take extra precautions during holidays with fireworks, wrapping paper and other dangers. It is the scariest time for pets; make sure your pets are secure indoors. Also protect your pet during Halloween. • Be kind to your pet and show them love … remember you are their world. Include your pet in your family activities. They love car rides and trips to the beach as well a visiting with other pets. • Take special care of your pet during their senior years. Wouldn’t you want the same treatment? I don’t know how much this viewpoint will make a difference but I certainly hope that people will think about their pets in a new, more humane way. I have had an eye opening experience as to how much we need to improve in this area and I hope you have as well. Remember that they are not there solely for our entertainment! We need them as much as they need us. Please do not neglect or abuse your pets! (BBC): Voting electronically could prevent future problems at election polling stations, some experts claim. 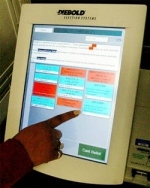 The US is planning to introduce e-voting and India has already had it in place for some time. However the British Electorial Commission has expressed concerns about the security of such systems. The 2010 UK election was marred for those unable to vote within the designated time frame, due to long queues. David Monks is a local authority chief executive, and chair of Solace, the Society for local authority chief executives’ electoral matters panel. "What we’ve got here is a very Victorian system, that many Solace members have argued is much in need of modernisation," he said.